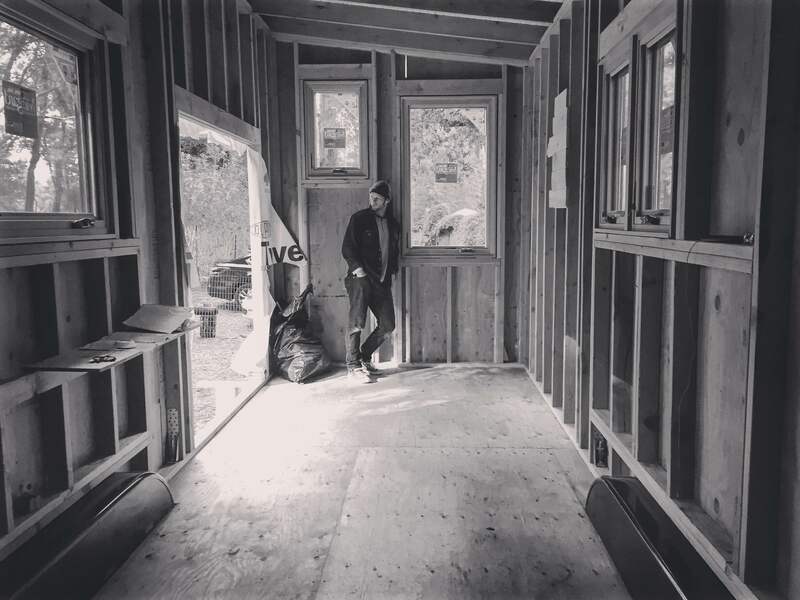 GoBe Tiny Home was conceptualized and built by David as homage to his grandparents “GoGo” and “BeBe” and to live with the mantra of "go-be" anything you want to be. David describes his project as a journey to smart, simple living. Growing up, he watched his parents help build the family home and always wanted to live in a house he built himself. 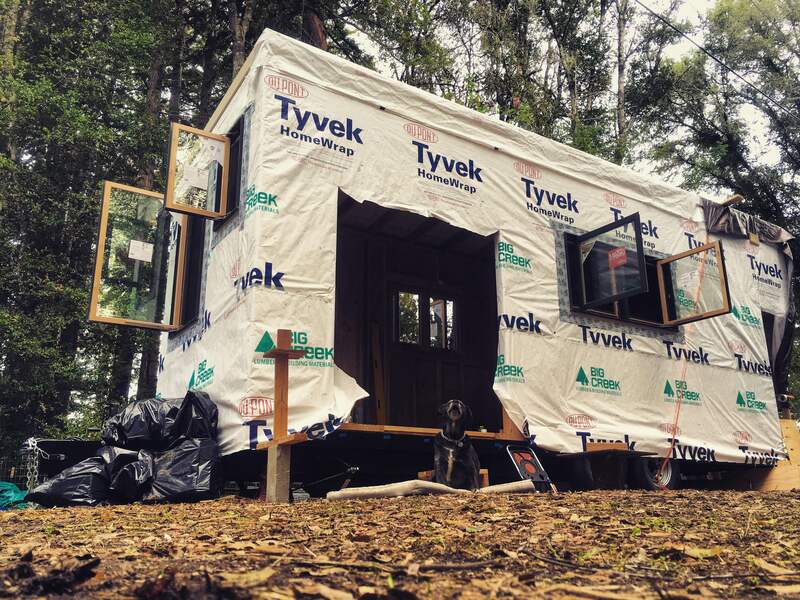 "Dealing with the resistance my mind creates when building this tiny home is really interesting and I would say equally as tough as the build." 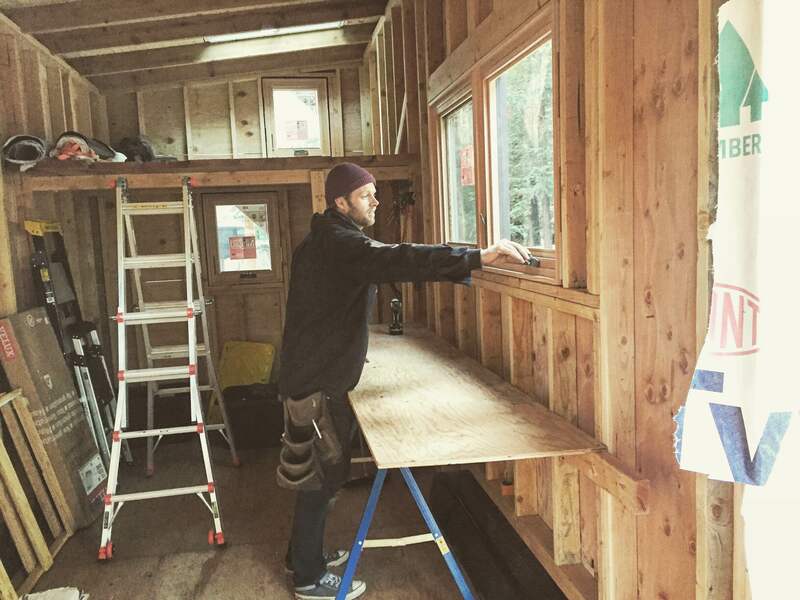 The tiny home sits on a rented lot in a wooded area. David designed the 24-by-8 foot home for maximum use of space with a sliding pocket bathroom door and built-in L couch with storage. He didn’t follow a building plan and designed the home himself. 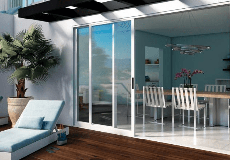 Large windows, a skylight and French Doors bring in plenty of natural lighting. David also made sure to leave wall space for art. He carefully chose materials for durability and beauty, such as exposed redwood and concrete countertops. David wanted the house to be simple, yet comfortable. The home is fully equipped with electricity and running water and a direct vent heater. The stove and hot water runs on propane to reduce power usage.